Many children are fascinated with watching plants grow and tending to them to help with the growth. Gardening with kids could be as educational as it is fun, and there are many lessons they can learn from placing a seed in the ground. Children feel a sense of success when they start seeing the first sprout pop from the soil after they were a part of the growth. Grab your gloves and trowel to begin a lifelong tradition and memory in your children’s life. The insects and plant life occurring in your backyard are fascinating for any child to experience. Seeing the dangerous and beneficial wildlife and the lifespan of a plant is all apart of educational gardening. Teach your kids the fun side of tending to the yard and give them a feeling of accomplishment when the seed they placed in the ground grows into a beautiful, fruitful plant. One great exercise to do with your little ones is to help identify the plants existing in your home. Talk about how it grows and how much to water it, so the plant is satisfied. You can also create plant indicators from construction paper and popsicle sticks. It is combining both arts and horticulture in one project. The essential activity for gardening with kids is to do the seasonal planting and have them keep track of their plant. Have them measure their watering and log the plant’s activities, so they have a thorough report of the plant’s life. The insects in your garden are often another exciting feature of spending time in your yard with your kids. But showing your children about the importance of saving the bees and attracting them to the plants is crucial for the campaign to keep this bugs in the world. Identifying which bee types are beneficial to your garden and the ones who could cause harm to your family is also an essential part of gardening with kids to prevent an unfortunate incident. Besides the dangerous Africanized bee, all others are friends of yours and your garden. Africanized bees are a significant threat to your entire family due to their aggressive nature. 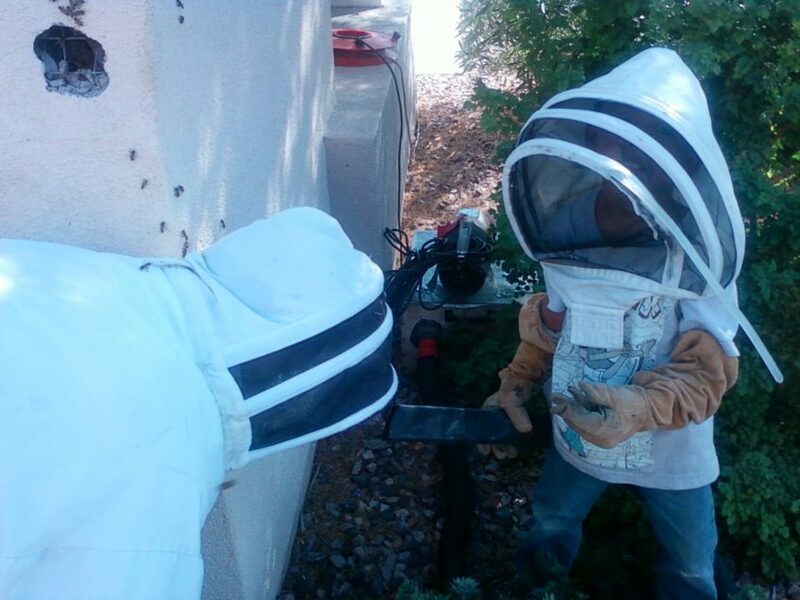 When searching for Las Vegas beehive removal, Bee Masters is equipped to safely remove them from your home and repair any damage they have caused to your infrastructure. Contact us today to see how we can help you!